Long Island Business News (Nov. 1-7, 2013 / VOL. 60 / NO. 47) – Posters pitching products are common in airport terminals, as are rotating signs selling services at the mall. Health-care facilities have historically adopted more somber tones, but many are changing that tune as advertisers warm up to hospital employees, patients and visitors, and facility managers recognize new revenue opportunities. The fabled Mayo Clinic runs ads for myriad medications on its website, for instance, but no Long Island facility has yet embraced digital advertising or promos for particular drugs. There are still questions of appropriateness – and some lines local hospitals haven’t crossed. But with advertisers expressing interest and hospitals hungry for revenue, companies like Summit, N.J.-based Innovare Medical Media – which has installed billboards and scrolling signs at several Long Island hospitals – are wading into the market, Innovare Partner Michael Ricciardi said. It isn’t easy overcoming the notion that hospitals are places where the sick come to heal – or not – and therefore ill-suited to for-profit commercialization. But Innovare is still finding plenty of Long Island business. The North Shore-Long Island Jewish Health System worked with the New Jersey marketing company to install fixed and alternating signage at North Shore University Hospital in Manhasset and Long Island Jewish Medical Center in New Hyde Park, while Mineola’s Winthrop has also installed Innovare signage in common areas including parking garages, cafeterias, elevators and waiting rooms. Among those pitching hospital audiences are several local institutions of higher education, including St. Joseph’s College and Adelphi and Long Island universities. Auto dealers such as Westbury’s Rallye BMW and Great Neck’s Beiner Audi also advertise in hospitals, as does the occasional assisted-living facility, including Sun Harbor Manor of Roslyn Heights. “It’s a new opportunity to reach an outstanding demographic audience of health-care professionals and the community at large,” said Diane Moser, Adelphi’s executive director for marketing. By aligning the Adelphi brand with regional hospitals, the university positions itself as a regional leader in health-related education – a worthy investment, Moser added. But insiders like Winthrop Chief Operating Officer Garry Schwall are quick to note that revenues from advertisers like Adelphi aren’t the only benefits for the hospitals. Schwall is happy to have the new source of revenue, he said, but hospitals can also use professional billboards and scrolling signs to deliver their own marketing messages. So Winthrop can promote specific cardiology or orthopedic services, for instance, along with impressive rankings from the likes of U.S. News and World Report. And when it does permit outside advertising, it’s careful not to concentrate too much on a particular industry, or to tip too far onto the for-profit side. That’s not to say there isn’t profit to be had. Winthrop’s new advertising opportunities should produce $2 million in revenues during the next decade, Ricciardi said, with an unspecified percentage going to the hospital. Advertisers see hospital crowds as “a good target audience – a high-value audience with a good household income,” Ricciardi noted. And they’re willing to pay to reach that audience, even if many of the hospitals – while welcoming new revenue streams – aren’t out to make a killing. And while being careful not to “overwhelm our patients” with blaring advertisements, facilities like those throughout the North Shore-LIJ system are also very selective about whom, exactly, can advertise on their grounds. Hospital A is not likely to run an ad promoting Hospital B, for instance. Based on that natural selectivity and other sensitivity guidelines, there’s still plenty of advertising space to go around. Innovare has been steadily adding hospitals to its mix since 2010, when its founders sold InterSpace Airport Advertising, which marketed in over 200 global airports, to Clear Channel Outdoor. Citing better demographics and a less-transient audience, Innovare has now installed signage in more than a dozen health-care facilities and plans to be in about 100 by 2018. While more hospitals recognize the potential, Ricciardi agreed with Lynam that they’re going to be very careful about the clients they let advertise in their parking lots and waiting rooms. 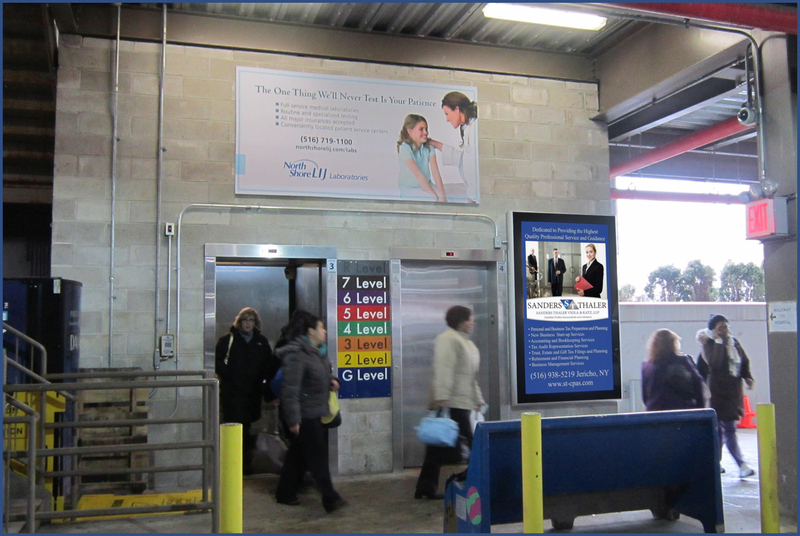 Innovare owns the signs, but the hospitals have final approval on advertisers and how their messages are delivered. Ultimately, there’s a matter of decorum – and health-care facilities aren’t likely to run ads for tobacco or alcohol products or anything that might be considered in poor taste. 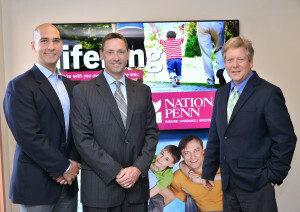 Bethlehem, PA (9/24/2013) – St. Luke’s University Health Network has launched a new media partnership with Innovare Medical Media of Summit, NJ to establish an electronic signage advertising program at four hospitals within the Network. 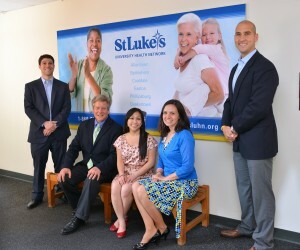 “The new program launched in April 2013, featuring leading local and regional businesses in digital, large-format, edge- and back-lit signage that affordably reaches thousands of households and health care decision makers throughout the region,” said Ken Szydlow, Vice President of Marketing, St. Luke’s University Health Network. Some of the local companies utilizing the advertising opportunities at St. Luke’s include Miller-Keystone Blood Center, National Penn Bank and Service Electric Cable TV, Inc. The new electronic advertising program has produced revenue for the network, added Szydlow. In addition to providing information about local services and businesses, twenty percent of all the displays will feature the many outstanding health care services of the St. Luke’s University Health Network, he said. 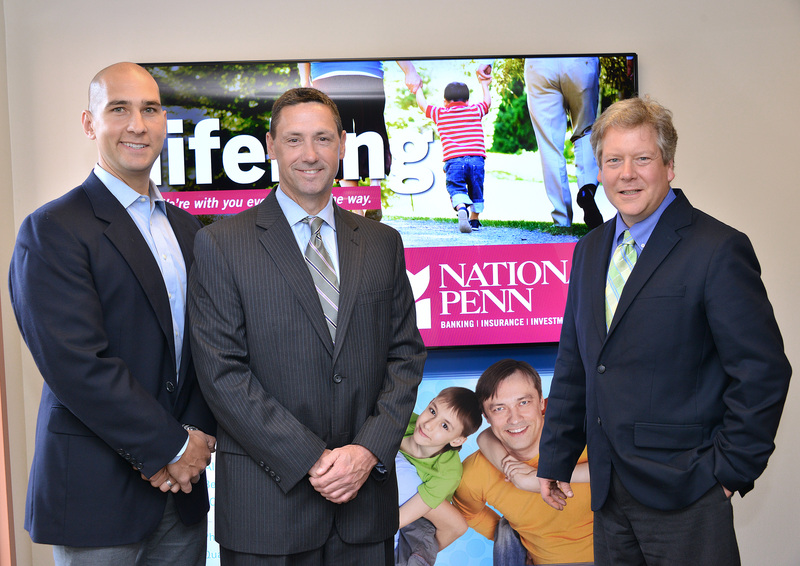 “Service Electric Cable TV is proud to be a supporter of St. Luke’s University Health Network and Innovare Medical Media and thank them for all they do for our Lehigh Valley community,” said Steve Salash, Marketing Director of Service Electric Cable TV, Inc. These dynamic Innovare displays have enhanced the appearance of strategic, high traffic, public locations at each hospital, said Lieberman. St. Luke’s has also been able to leverage these locations to communicate more effectively with their many patients, visitors and employees, agreed Michael Ricciardi, Partner and New Business Director of Innovare. “The St. Luke’s University Health Network is a critical economic engine in eastern Pennsylvania. Leading regional businesses have been very excited at the opportunity to participate in our program and align their message with the Health Network,” Ricciardi said. “The demographics of this audience make it a marketing home run for these companies and the exclusive Innovare model provides the opportunity to enhance overall patient and employee experience by transforming blank walls in less attractive environments into valuable showcases,” he added. Innovare launched its first hospital in 2011, and now has established ten new hospital programs. Over 35 years, the family that launched Innovare also created the successful airport niche media business Interspace Airport Advertising of Allentown, PA, which developed marketing opportunities in over 200 midsize airports on three continents. Ultimately this dramatic success led to the acquisition of Interspace by the world’s largest out of home marketing company, Clear Channel Outdoor (CCO). 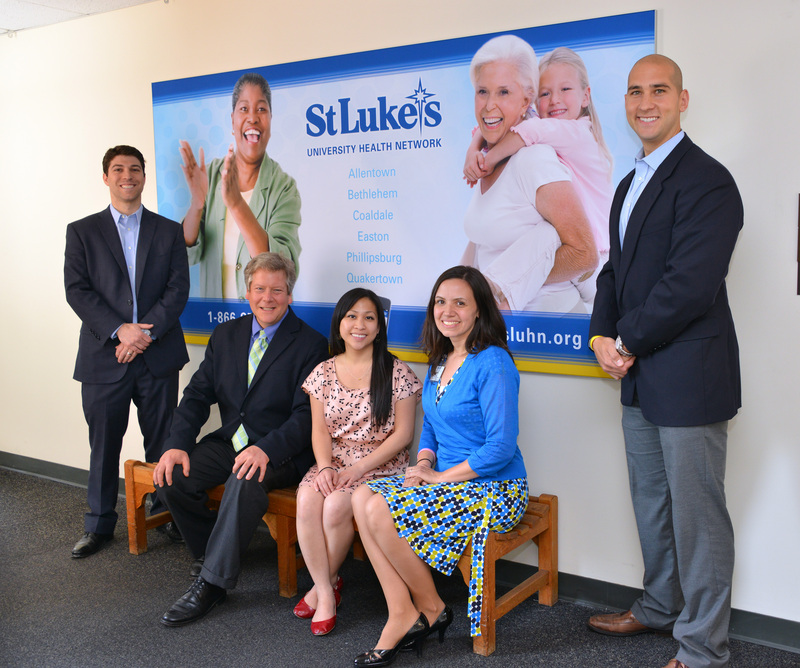 St. Luke’s University Health Network is comprised of six hospitals and provides services at more than 150 sites, and includes home health, hospice services, the largest hospital-based EMS unit in PA and other related health care organizations. The Network employs more than 8,900 people as well as 400 physicians at more than 80 physician practices. Learn more. Community Medical Center (a Barnabas Health facility) in Toms River, NJ has partnered with Innovare Medical Media to develop a new Community Showcase Display Program. This program will enable Toms River area businesses and organizations to participate in on-site display options to further entrench their commitment in the Medical Center and reach a fantastic target audience. In addition, this program is a valuable marketing vehicle for the Medical Center to reach visitors, patients and employees with various strategic messages, all while developing a discretionary revenue stream to support the Medical Center. Community Medical Center (CMC), an affiliate of Barnabas Health, is a 592-bed, fully accredited acute care hospital. CMC has evolved into the state’s largest non-teaching hospital and Ocean County’s largest and most active healthcare facility—caring for over 28,000 inpatients, 127,700 outpatients and 100,000 emergency department patients each year. More information on Community Medical Center can be found at www.barnabashealth.org/hospitals/community_medical/index.html. Barnabas Health is New Jersey’s largest integrated health care delivery system with six acute-care facilities, more than 19,600 employees (second largest private employer in the state), 4,750 physicians (one-fourth of the state’s practicing physicians) and 450 residents who provide treatment and services for more than 225,000 inpatients and same day surgery patients, 451,000 Emergency Department patients and over 1.5 million outpatients, and 17,500 births. More information on Barnabas Health can be found at www.barnabashealth.org. The North Shore-LIJ Health System has rolled out the Innovare Model with their two largest and premier facilities, North Shore University Hospital in Manhasset, NY and the LIJ Medical Center in New Hyde Park, NY. This marks the one year anniversary of the LIJ Medical Center program which was launched shortly after the program at North Shore University Hospital. North Shore-LIJ has been able to leverage strategic display locations in order to communicate various corporate marketing initiatives and leading service lines. “It has been exciting to see how leading community businesses have such respect for North Shore-LIJ and have continued to invest in these programs,” says Michael Ricciardi, Innovare’s Strategy and Business Development Partner. Innovare anticipates years of further growth in both these established programs. North Shore University Hospital (NSUH) in Manhasset is an 806-bed teaching hospital that is spread across the 58-acre Sandra Atlas Bass Campus. The hospital is one of the cornerstones of North Shore-LIJ Health System and is academically affiliated with the Hofstra North Shore-LIJ School of Medicine, employing a staff of more than 6,000. More information on North Shore University Hospital can be found at www.northshorelij.com. Long Island Jewish Medical Center (LIJMC) is one of the clinical and academic hubs of North Shore-LIJ Health System, offering world-class cardiology, cardiac surgery, thoracic surgery, orthopaedics, head and neck oncology, urology, gynecology and vascular programs. The 48-acre campus has three major components: Long Island Jewish Hospital, Steven and Alexandra Cohen Children’s Medical Center and The Zucker Hillside Hospital. LIJ Hospital is a 524-bed non-profit tertiary care teaching hospital serving the greater metropolitan New York area. More information on LIJ Medical Center can be found at www.northshorelij.com. The Keats Agency, an agent of Nationwide based out of Floral Park, NY, has joined the Innovare Community Showcase Display program at North Shore University Hospital in Manhasset, NY and Long Island Jewish Medical Center in New Hyde Park, NY. Nick Lieberman, Innovare President and Business Partner, asserts “We are proud to have yet another great community business partner in our Community Showcase Display Program on Long Island. The unmatched hospital demographic is an incredible opportunity to reach local high-income earners who are on campus every day. We are thrilled with our growing clientele and confident with the continued value in the hospital audience”. Last year was bad for print and this year won’t be much better, according to the Advertising Consensus Forecast from the World Advertising Research Center, which predicts further declines for both magazines and newspapers in the U.S. in 2013-2014. 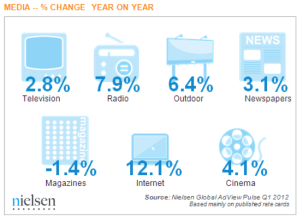 Following a 4% decline in 2012, the WARC forecast sees U.S. magazine ad spending decreasing 4% in 2013 and 5.1% in 2014. That prediction looks rosy compared to WARC’s forecast for U.S. newspapers, where ad spending will fall 6.7% in 2013 and 8.4% in 2014. WARC estimates that U.S. newspaper ad revenues fell 7.2% in 2012. U.S. newspapers’ ad revenues have declined every year since 2006, according to the Newspaper Association of America, tumbling from $49.4 billion in 2005 to $23.9 billion in 2011, the latest year for which full figures are available from the NAA. Combining the NAA figures with WARC’s forecast, total newspaper ad revenues will continue to drop from around $22.2 billion in 2012 to $20.7 billion in 2013 and $19 billion in 2014. Meanwhile, according to the Publishers Information Bureau total magazine ad revenues (based on official rate cards) have declined from $27.5 billion in 2007 to about $21.1 billion in 2012. Combining these figures with the WARC forecast, revenues will sink to $20.3 billion in 2013 and $19.2 billion in 2014. A separate forecast released by eMarketer in September sees smaller decreases in U.S. magazines’ print ad revenue over the next few years, with drops of 0.4% and 0.3% in 2013 and 2014, respectively. The consultancy estimated U.S. magazines’ total print ad revenues at around $15.2 billion in 2012. The same forecast has newspapers’ print ad revenues declining 6.1% in 2013 and 4% in 2014, to about $17.3 billion. Innovare Medical Media (Innovare) is pleased to announce its 10th Hospital Partnership with Akron General Medical Center (Akron General) in Akron, OH. Michael Ricciardi, Innovare’s New Business Partner, says “Innovare is excited to continue to grow its network of hospitals providing Akron General with an entrepreneurial opportunity to market their services on their own campus and create an additional discretionary revenue stream all at no cost to the hospital”. Thomas Neumann, Akron General’s SVP Strategy, Marketing & Communications, says “Akron General is excited to have leading businesses within the region featured in our displays. Innovare is installing technologically advanced, green equipment in the areas of high-traffic by the visitors, physicians and employees to provide very attractive marketing platforms for both Akron General and our business partners and friends”. Akron General Health System is a not-for-profit health care organization with the mission of improving the health and lives of the people and communities it serves. Akron General Medical Center is a 532-registered-bed teaching and research medical center. Recently, U.S. News & World Report ranked Akron General Medical Center as the seventh best hospital in Ohio. In 2013, the American Nurses Association bestowed the prestigious “Magnet” status on the more that 1,000 nurses from Akron General Medical Center, Edwin Shaw Rehabilitation Institute and the Health System’s Health & Wellness Centers. For more information about Akron General Health System, visit www.akrongeneral.org. — Although physicians rarely make house calls and health care providers face declining reimbursements, Long Island hospitals are making a rush to residents’ homes with advertising ranging from TV to radio and from outdoor media to the Web. They’re snapping up full-page print ads, radio spots during drive time and TV spots that tug at the heartstrings, a bright spot in an otherwise anemic advertising market. They’re also buying billboards at Long Island Rail Road stations, Long Island Ducks games and the Nassau Coliseum. The ad spending binge is a bid to capture share of mind in a crowded field of nearly 30 Long Island institutions. Bill Daddi, a spokesman for Kantar Media, which tracks health care advertising spending, said hospitals, clinics and medical centers in the New York metropolitan area spent $69 million in 2010, up from $66 million 2009. They spent $19.8 million in the first quarter of 2011, up from $15.4 million a year ago. The North Shore-Long Island Jewish Health System is in the midst of its “biggest campaign yet,” said Don Simon, the system’s vice president of marketing. Hospitals say they’re spending to build customer loyalty and avoid losing revenue, which would be a one-two punch as reimbursements drop. Keating said hospitals need to market or risk being marginalized. Although hospital advertising runs the gamut, providers are investing more in Internet campaigns than in the past. Simon said North Shore-LIJ is using interactive digital banners and linking consumers to information about service such as orthopedics, doctor lists and videos. Winthrop positions itself as a big institution amid a sea of smaller Long Island hospitals. Only North Shore University Hospital at Manhasset is larger. In addition to vying with one another, Long Island hospitals are seeking to dissuade Long Island patients from going to New York City hospitals. Eighteen percent of patients from Nassau County in 2008 went to hospitals elsewhere, primarily New York City. Winthrop’s Keating said the proof of the wisdom of marketing is in the profits, as good medicine, marketing and reputation keep the hospital healthy. Advertising spending is continuing to recover from the recession and financial crisis, according to a report released Monday morning, although the rate of growth is slowing. The report, by Kantar Media, part of WPP, found that ad spending in major media in the United States in the first quarter rose 4.4 percent from the same quarter a year ago. The percentage gain is the fifth quarterly increase in a row since the end of 2009, but it is the smallest of the five. That is not necessarily a red flag, according to Kantar. As the bounceback from hard times goes on, the quarterly results are up against tougher comparisons versus the previous year. “We’re now comparing against stronger numbers from a year ago,” said Jon Swallen, senior vice president for research at the Kantar Media Intelligence North America unit of Kantar. “A year and a half into a recovery, that’s not an unusual pattern to see stronger growth at the outset,” he said. Another signal that Madison Avenue may not need to be anxious is that “we’re seeing growth across a very broad spectrum of advertisers,” Mr. Swallen said. “More than two-thirds of advertisers are increasing budgets compared with a year ago,” he added. The 4.4 percent increase in the first quarter comes after the four consecutive quarterly gains in 2010 compared with the same periods of 2009: 7 percent in the fourth quarter, 8.7 percent in the third quarter, 5.4 percent in the second quarter and 5.1 percent in the first quarter. Although most advertisers are continuing to spend more, they are still shying from newspapers and newspaper-related media, the Kantar report shows. Of the seven categories of media tracked in the first quarter, only two were down from the same period a year ago: newspapers, down 2.1 percent, and free-standing inserts, mostly distributed through newspapers, down 17.5 percent. Within the newspaper category, ads in local newspapers declined 1.1 percent. It was the 22nd consecutive quarter of negative results, Kantar said. Ads in national newspapers fell 7.5 percent compared with the first quarter of 2010, according to the report, and ads in Spanish-language papers declined 7.4 percent. The media category with the largest percentage gain was Internet display ads, up 14.6 percent, followed by outdoor ads, up 12.5 percent; television, up 5.3 percent; and magazines, up 4.5 percent. The media subcategory with the biggest percentage increase was cable television, up 31.9 percent, followed by Spanish-language magazines, up 22.3 percent. Turning to ad spending by categories of advertisers, there were gains in eight of 10 categories in the first quarter, just as there was in the fourth quarter of 2010. The category with the biggest increase was insurance, up 29 percent, reflecting the intense competition among auto insurers. Insurance was, appropriately, followed by automotive, up 23 percent. (Automotive is the largest ad category of all.) Within the auto category, ad spending by automakers climbed 24.2 percent, the report said, and ad spending by auto dealers rose 20.6 percent. Some of the slowdown was related to the effects of the Japan earthquake and tsunami on supplies of cars made in Japan, he added. As for the advertisers that spend all the money, Procter & Gamble led the list of the top 10, as it often does. Procter spent $719.8 million in the first quarter, the report said, down 5.9 percent from $765 million spent in the first quarter of last year. Of the top 10 spenders, seven spent more than they did a year ago. They include the Chrysler Group, up 58.6 percent; Toyota Motor, up 30.3 percent; Ford Motor, up 27.3 percent; L’Oreal, up 14.1 percent; AT&T, up 6.9 percent; and General Motors, up 1.3 percent. Another bigger spender, the Comcast Corporation, has a virtual asterisk next to its name. Comcast’s ad spending rose 47.7 percent, vaulting the company into the top 10, because of its acquisition of NBCUniversal. The ad spending for Universal movies and other NBCUniversal properties is now added to Comcast’s totals. The other decliners in the top 10, in addition to Procter, were Verizon Communications, down 24.4 percent, and Pfizer, down 11.1 percent. The top 10, in descending order of total first-quarter spending, are: Procter, AT&T, General Motors, Comcast, Verizon, Pfizer, Chrysler, Toyota, Ford and L’Oreal. The Kantar top 10 list pretty much matches the top 10 list that has been compiled by a Kantar competitor, Nielsen. The Nielsen list of top 10 ad spenders in the first quarter, also in descending order, is: Procter, AT&T, General Motors, Toyota, Ford, Comcast, Chrysler, Pfizer, Verizon and Honda Motor. And like Kantar, Nielsen’s numbers show that among the major media categories, ad spending declined in the first quarter in only one, newspapers, by 10 percent.